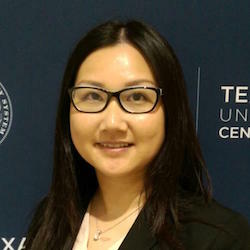 Dr. Shuqin (Monica) Wei is an assistant professor of marketing at the College of Business Administration, Texas A&M University-Central Texas. She received her Ph.D. in Marketing from Southern Illinois University and M.B.A. from Virginia Tech. Her scholarly research focuses on services marketing, digital marketing, and green/sustainable marketing. Her work has been published in European Journal of Marketing, Journal of Services Marketing, Journal of Service Management, and Journal of Business Ethics. She has also presented her research at national marketing conferences hosted by the American Marketing Association (AMA), Academy of Marketing Science (AMS), Frontiers in Service, Association for Consumer Research (ACR), Society for Marketing Advances (SMA), and Marketing Educators’ Association (MEA). She has been a reviewer for marketing journals and conferences. She has also served as a track chair and a session chair for marketing conferences. Dr. Wei teaches both undergraduate and graduate courses, including marketing research, services marketing, brand management, and research methods. She is a firm believer in experiential learning and is also the faculty advisor for the Marketing Research Club (MRC) on campus.